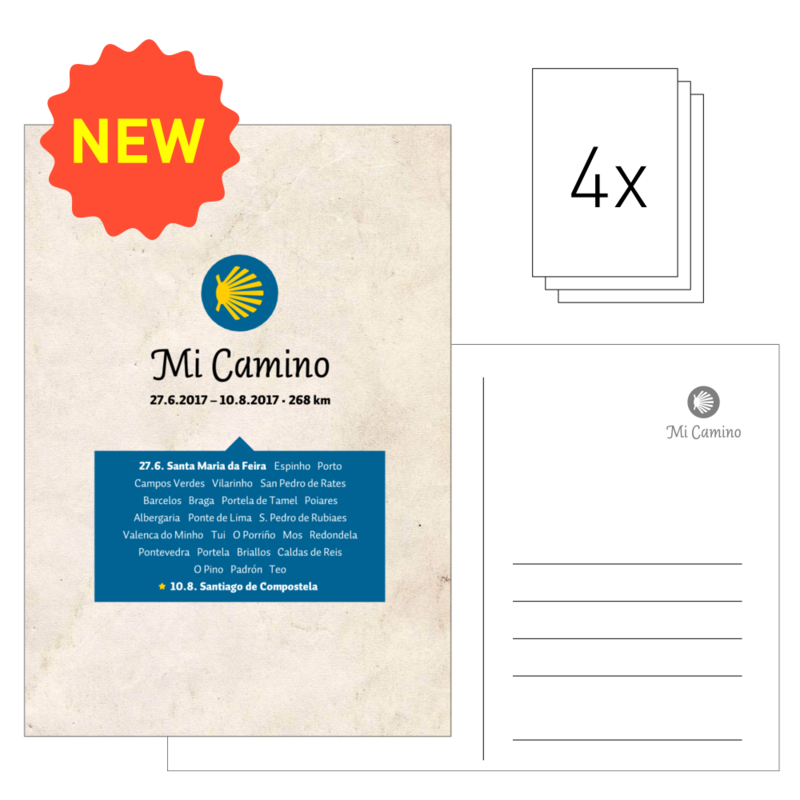 Mi Camino | Your individual Way of St. James souvenir! New to this site? 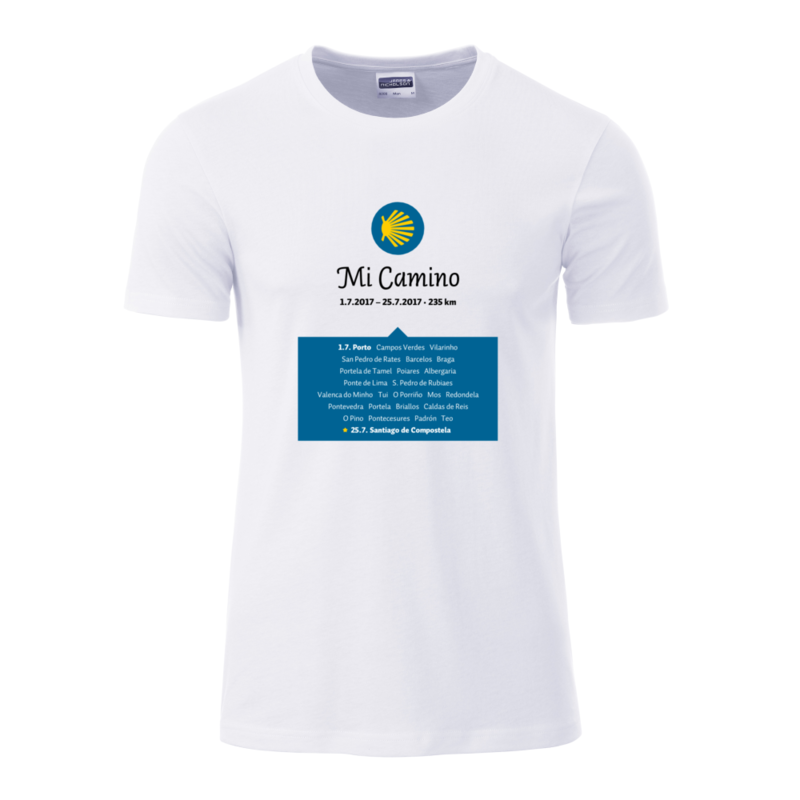 Here you can enter your personal hiking track data and we will create your custom tour souvenir including all of your important tracks, mileage and tour data. 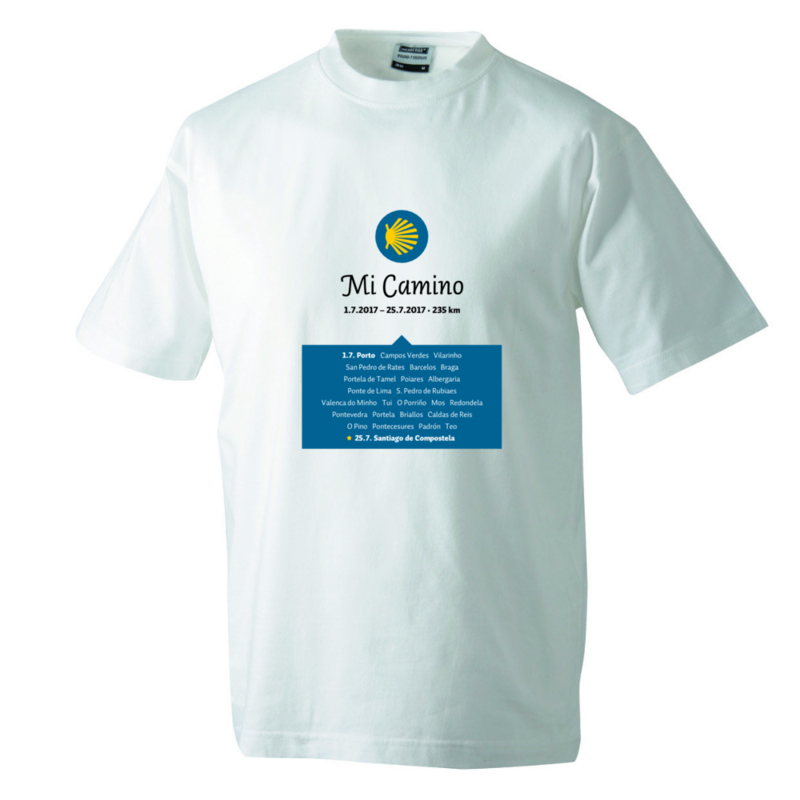 The project Mi Camino was created when Michael walked the Route of Saint James in order to have a new experience following Hape Kerkeling's „I'm off then“. 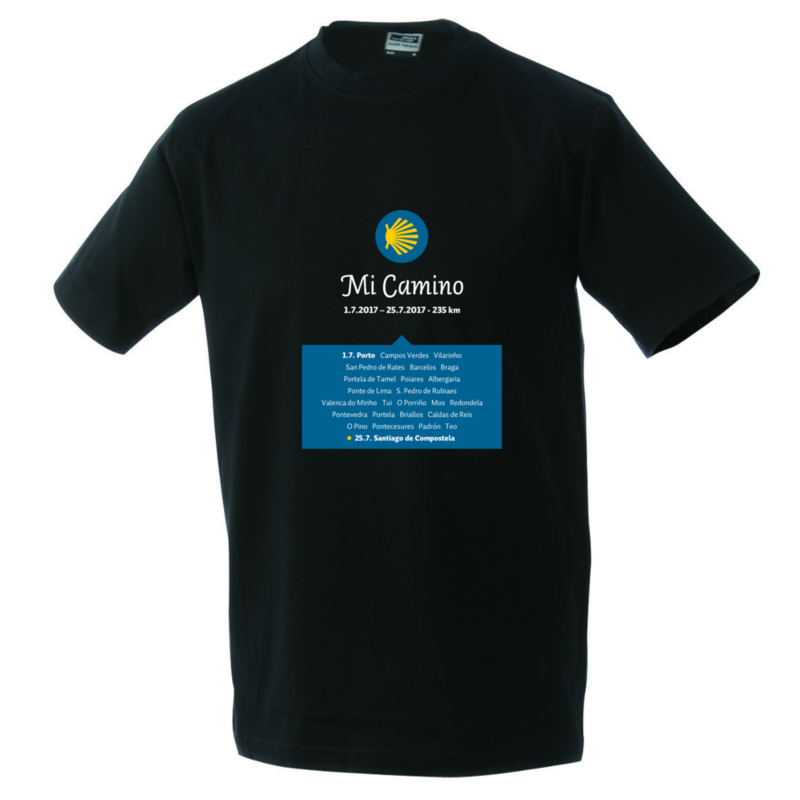 We offer branded products of combed Cotton-Jersey-Quality. 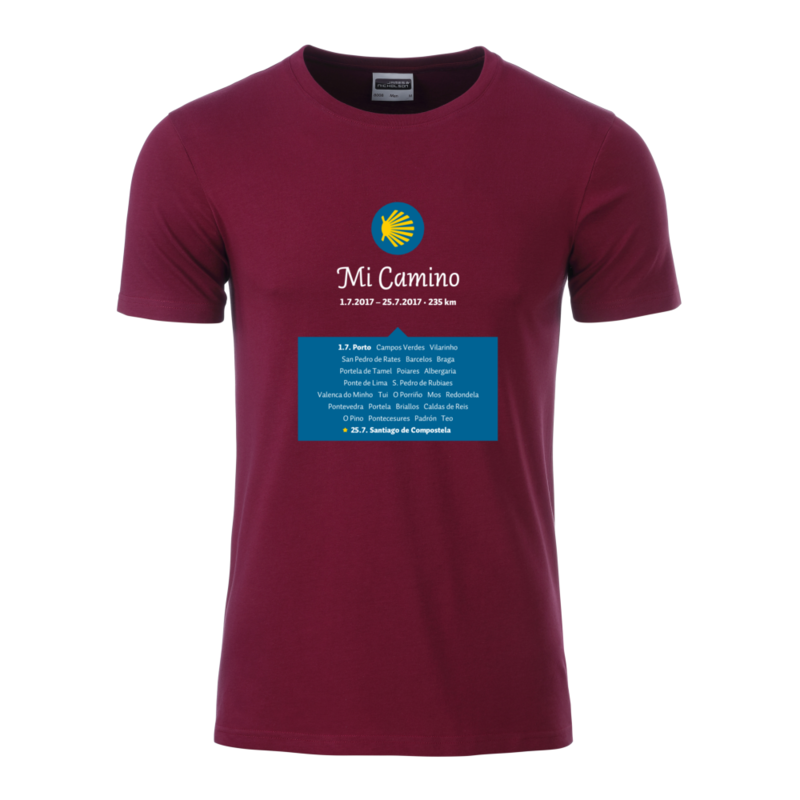 We primarily use direct printing technology for long-lasting colour fastness and an indestructible motif in order to make sure that you will enjoy wearing your pilgrim's shirt for a long time. 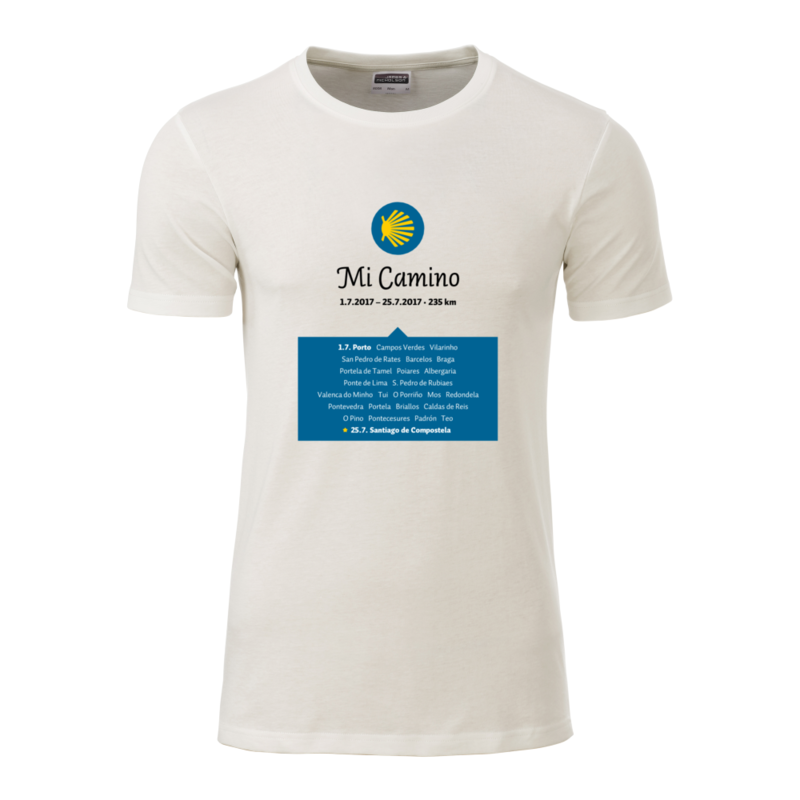 We provide all the places with accommodation facilities of the different routes so that your peronal way will appear on your shirt. If you did not choose an official path you can enter your route manually via the order form. We deliver the shirts to pilgrims all over Europe. 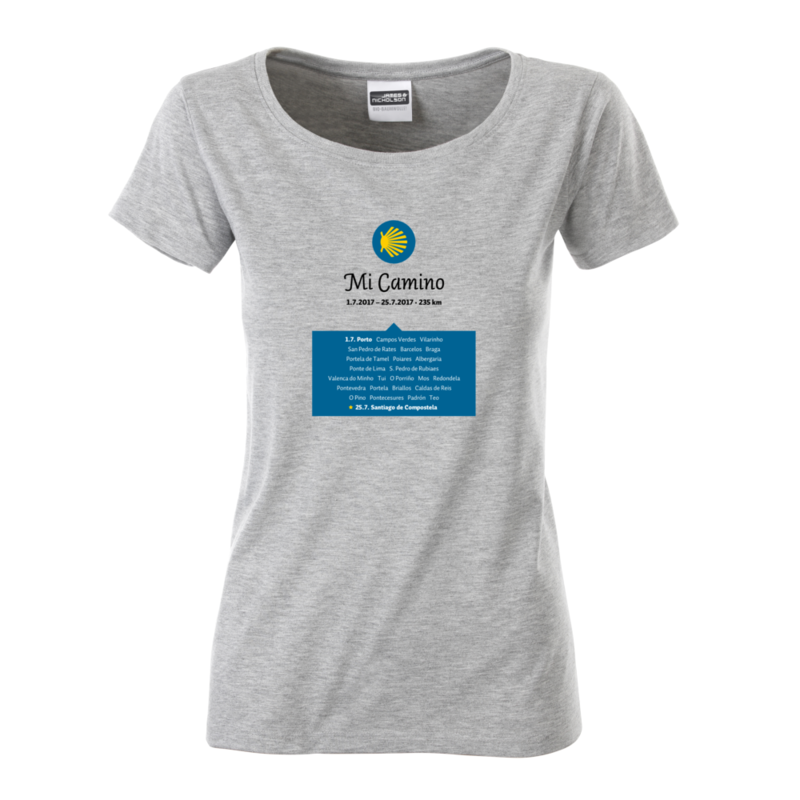 You can choose which way you would like to pay – by advance payment or PayPal. 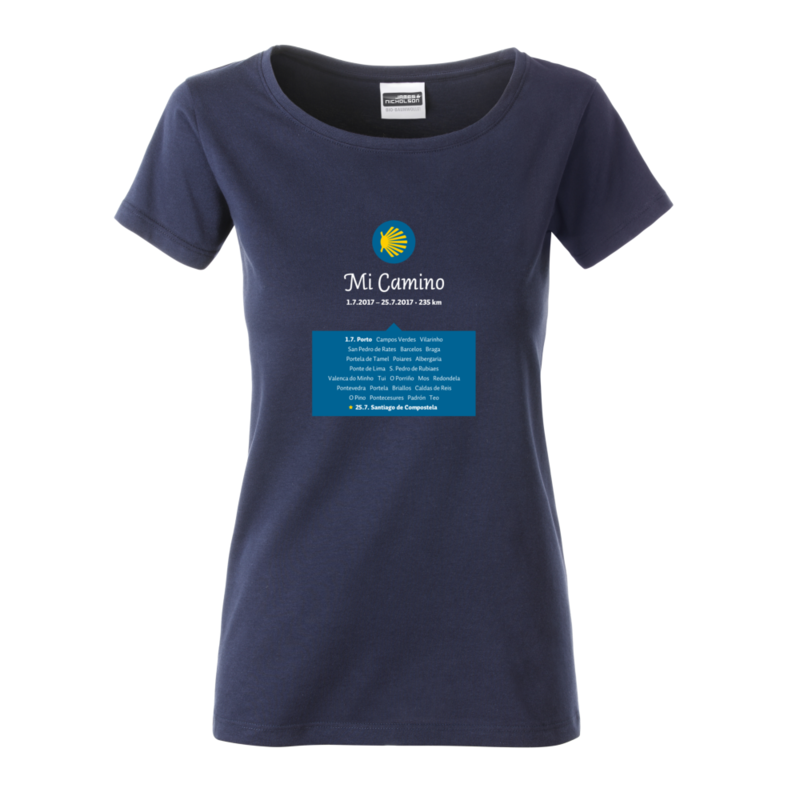 You can wash your pilgrim's shirt inside out at 30°C. 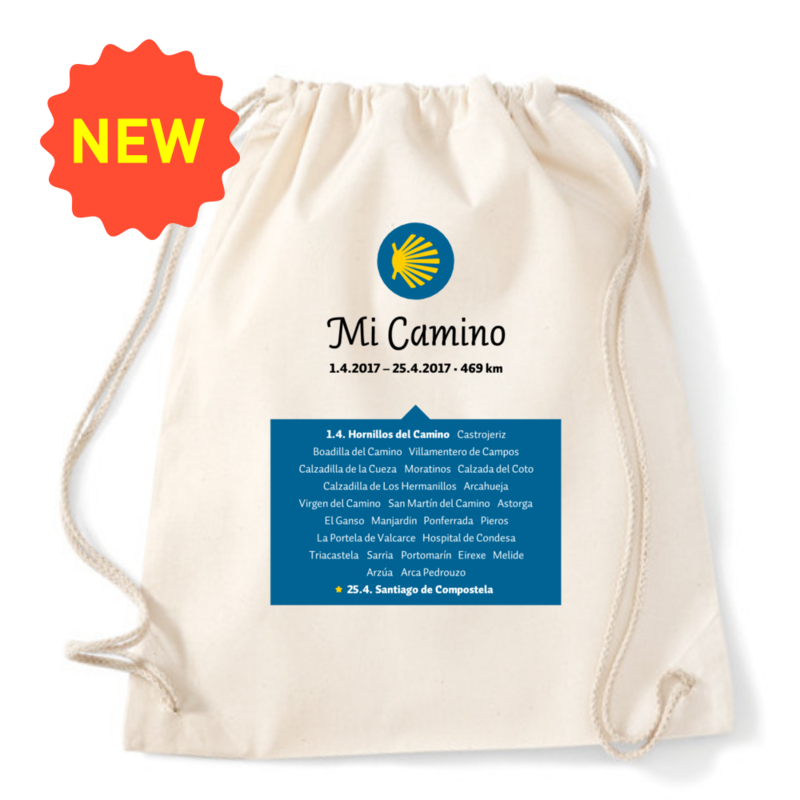 Please feel free to tell us if you have any special wishes – write an email to info@mi-camino.com. 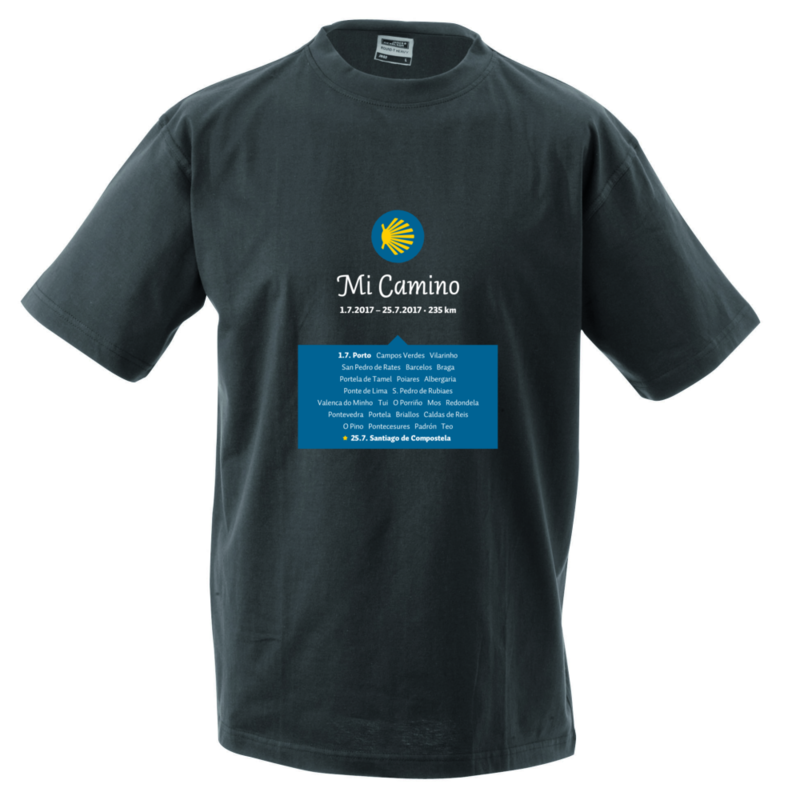 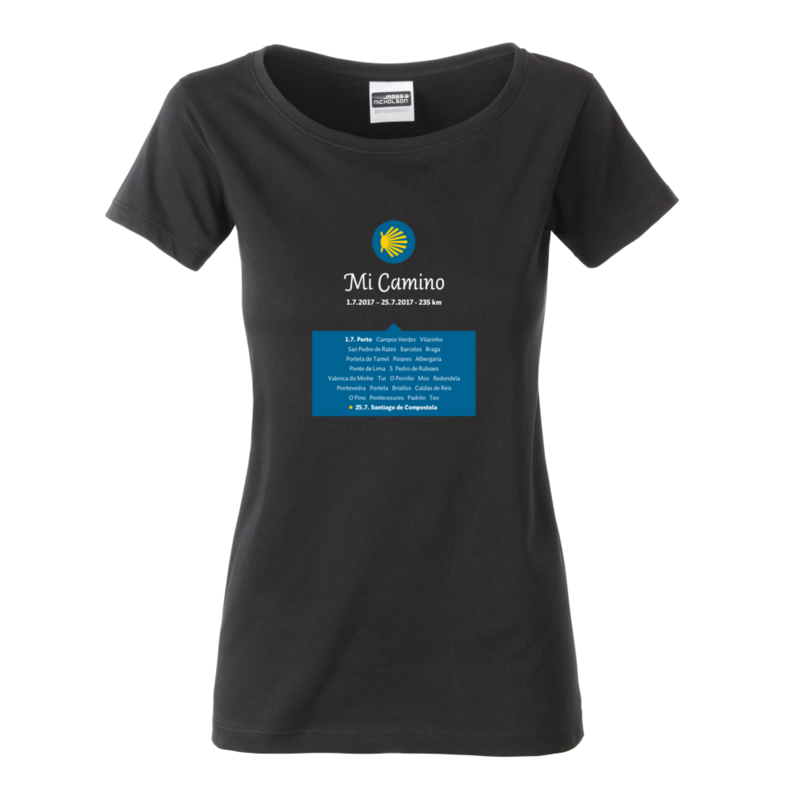 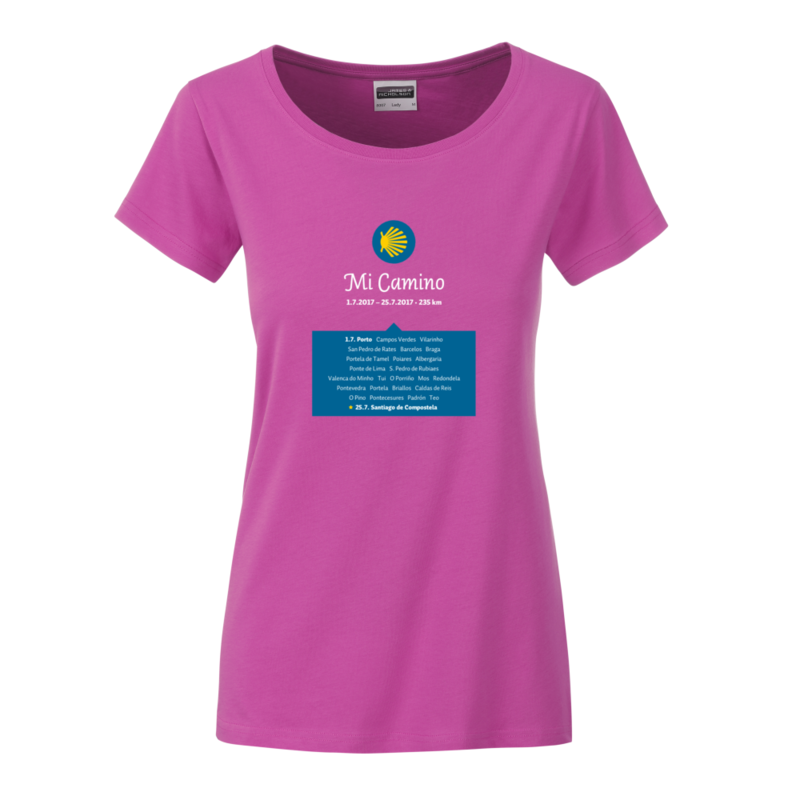 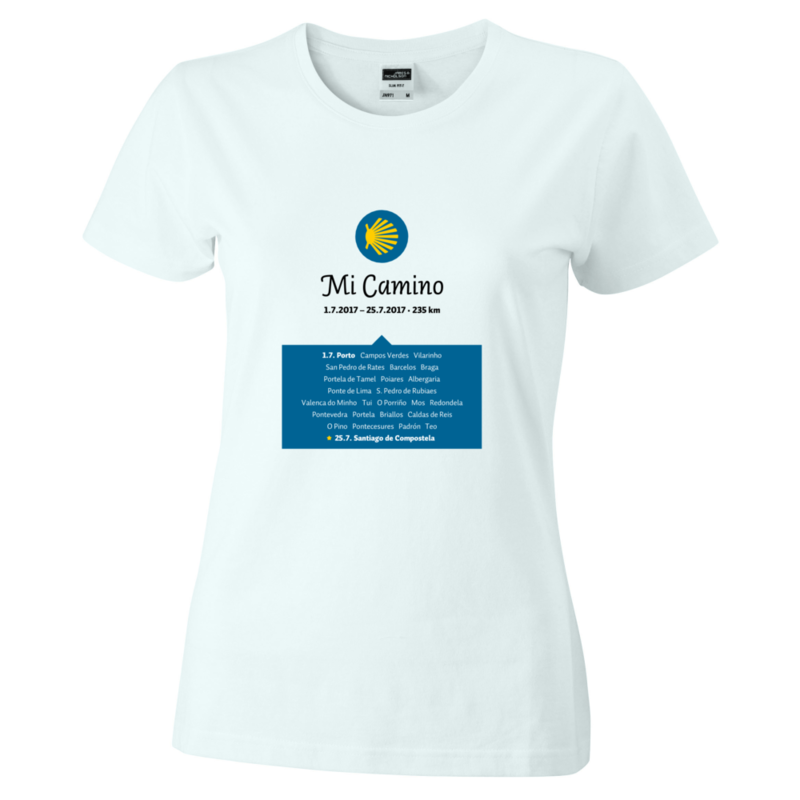 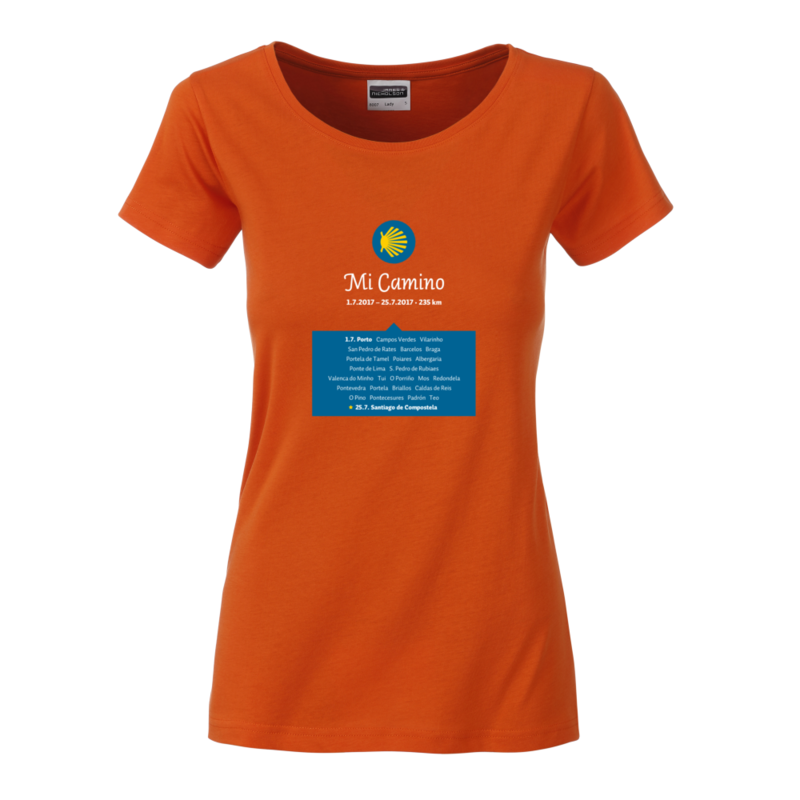 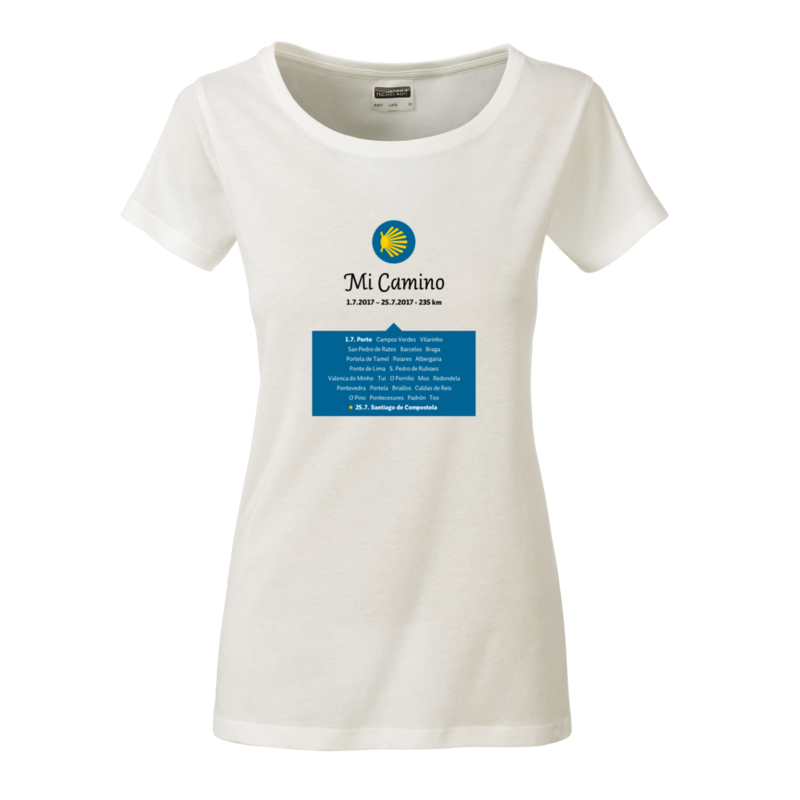 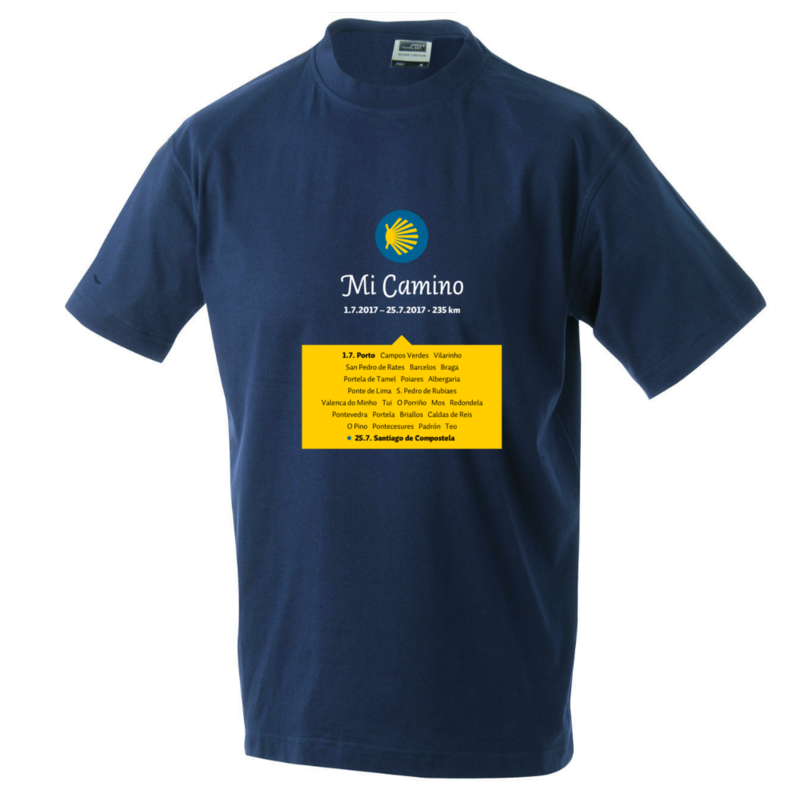 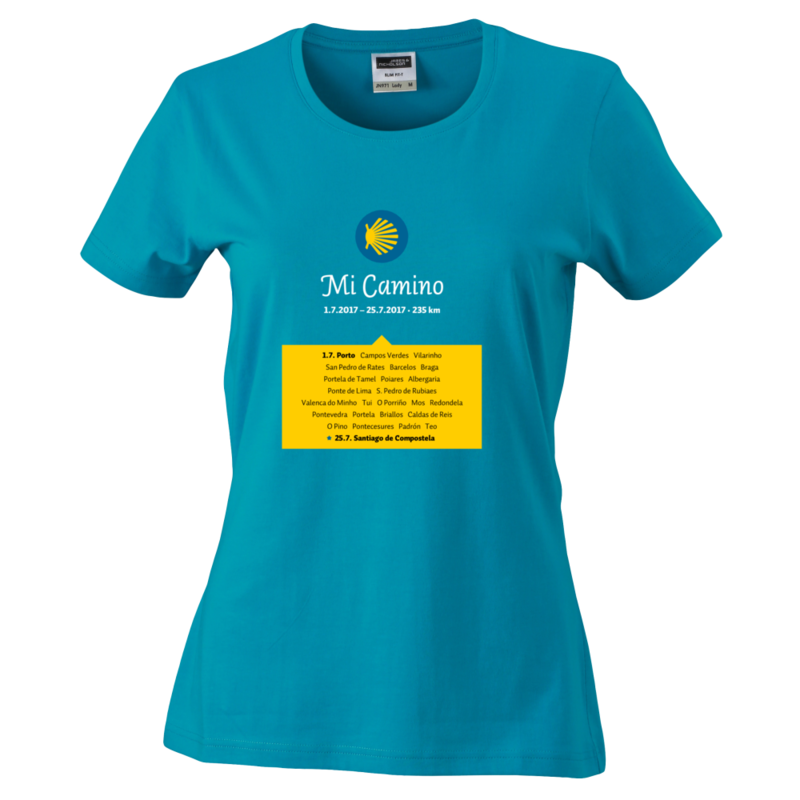 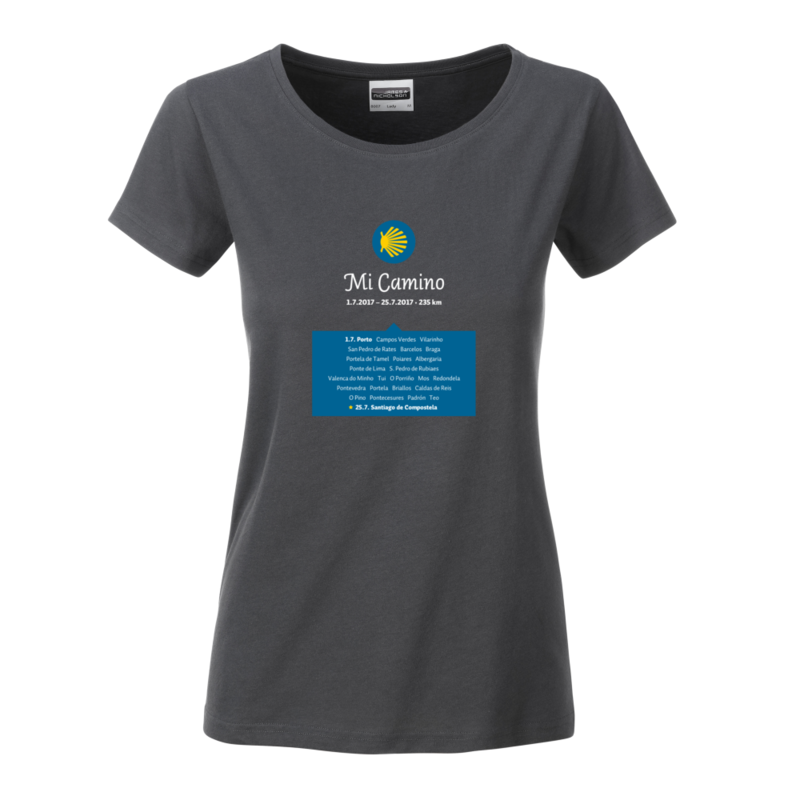 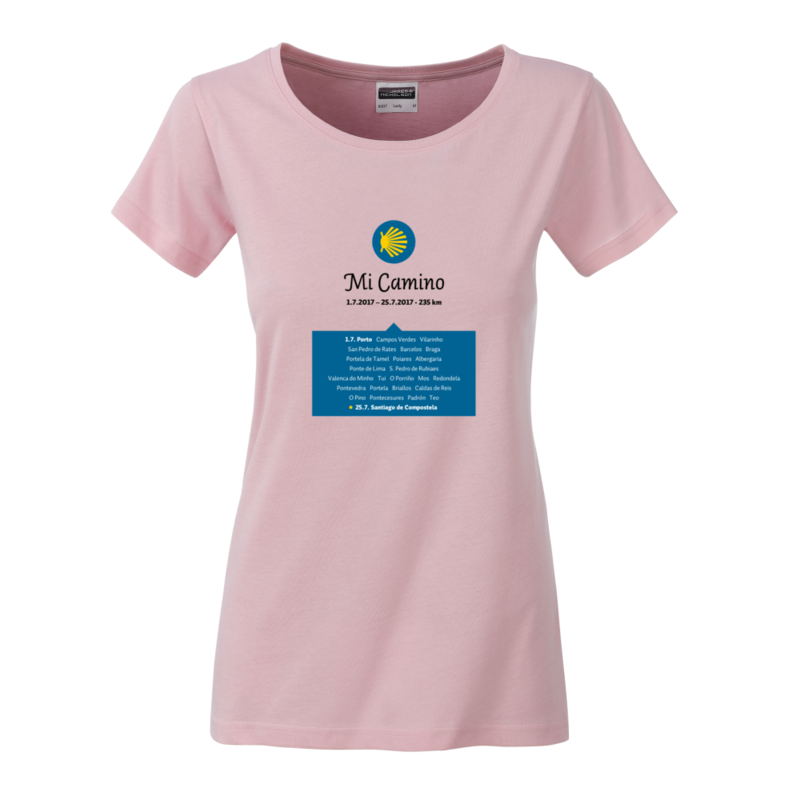 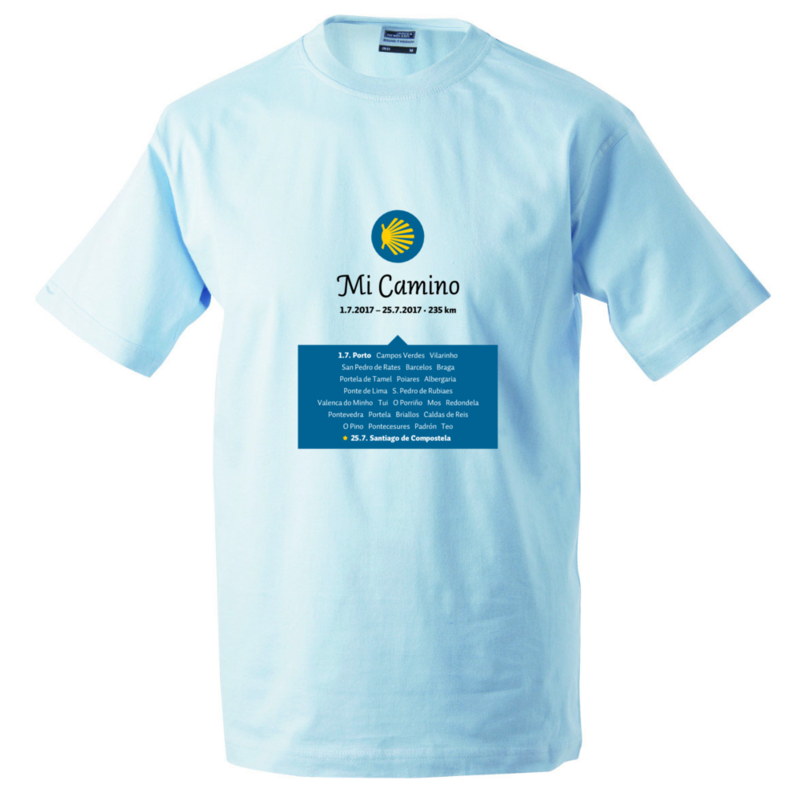 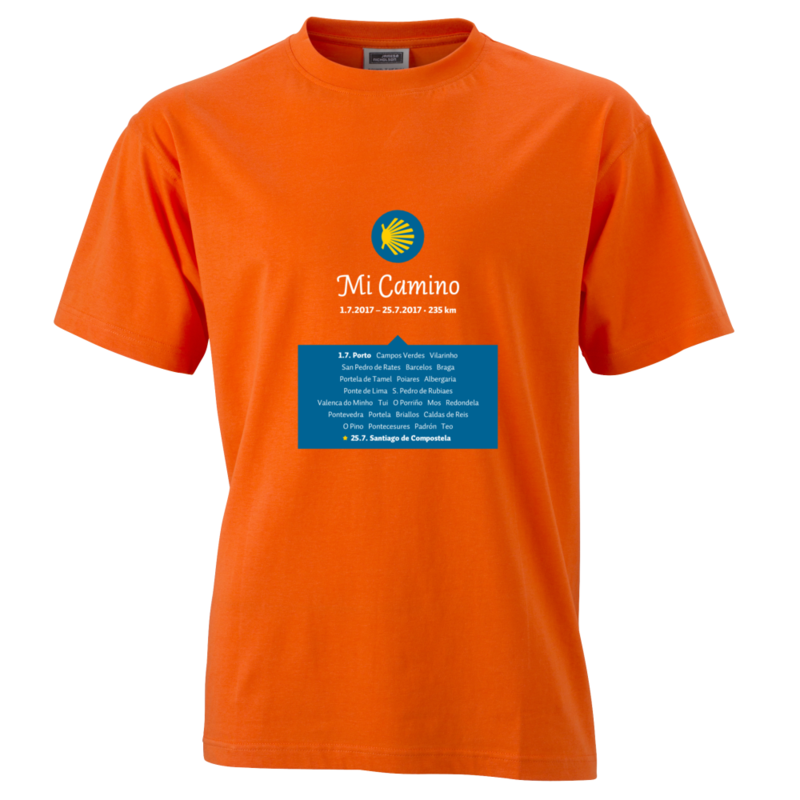 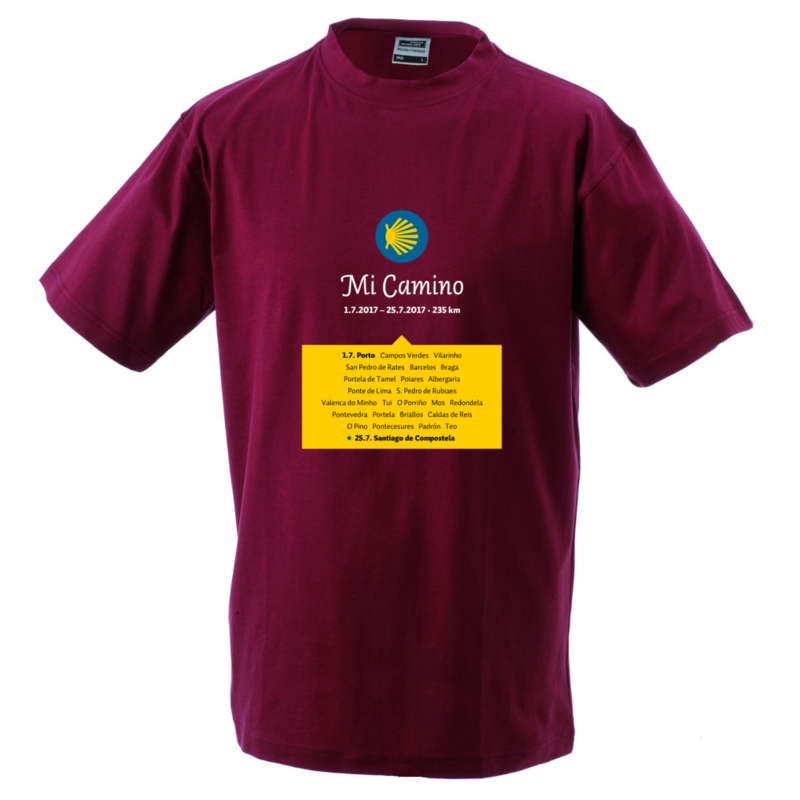 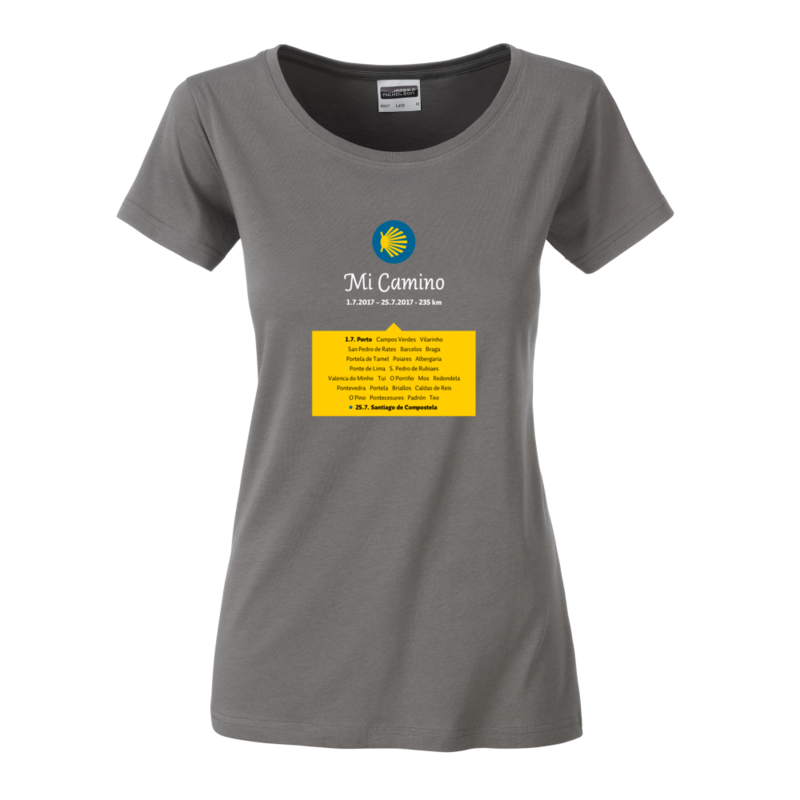 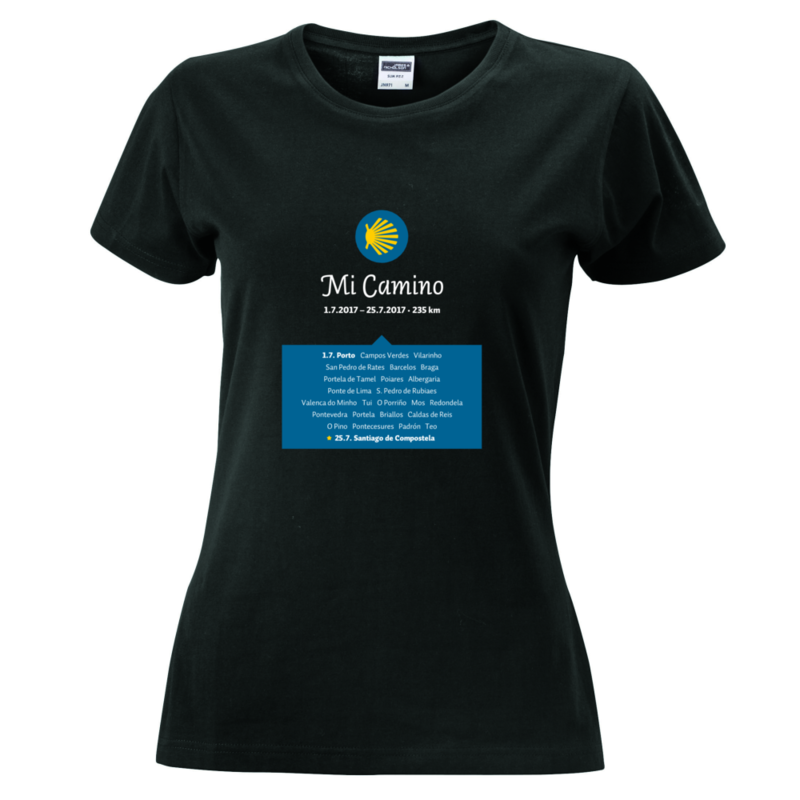 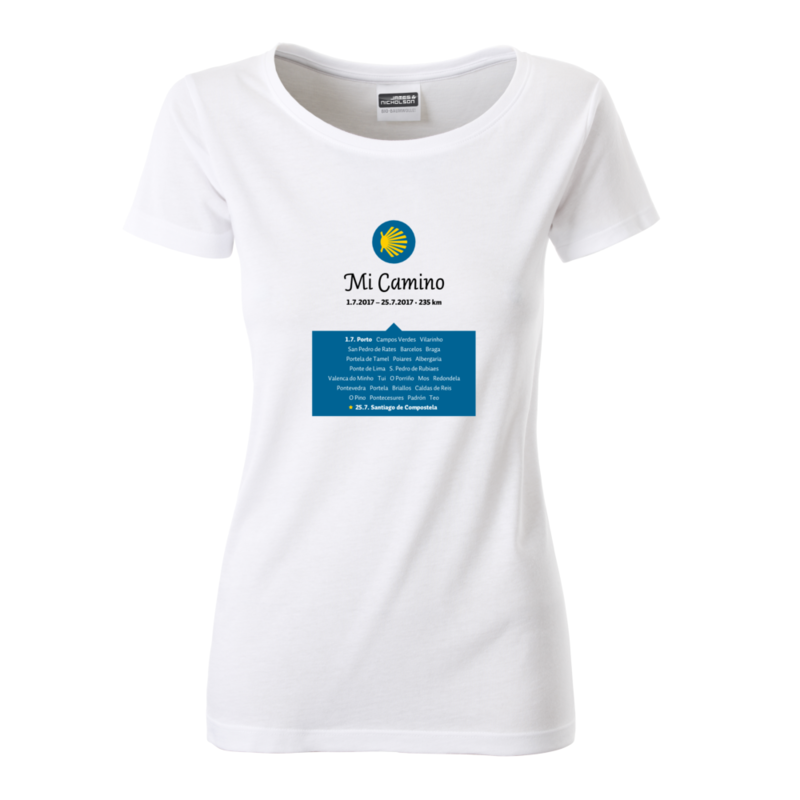 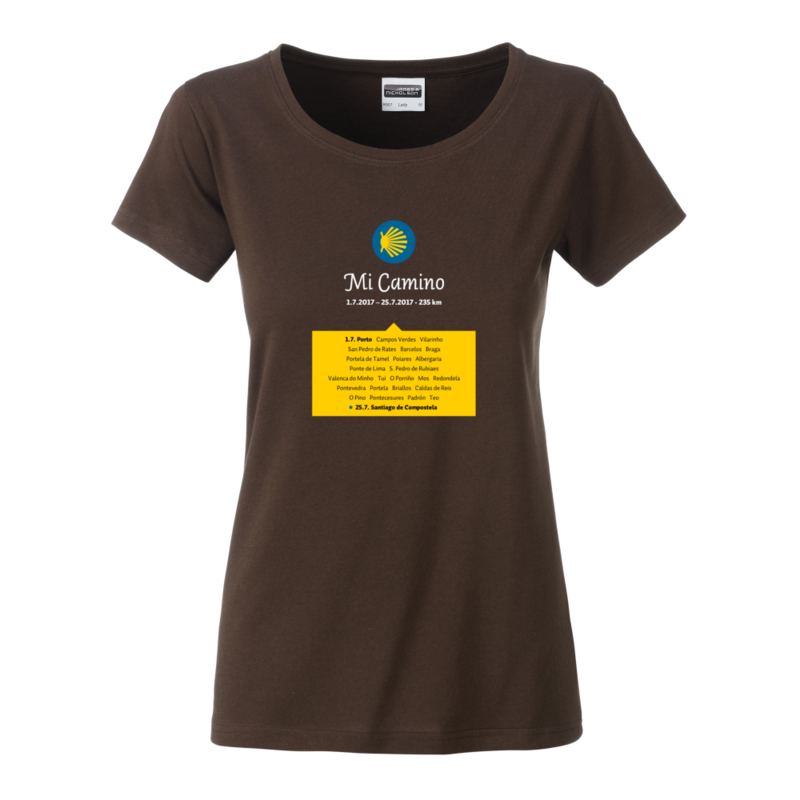 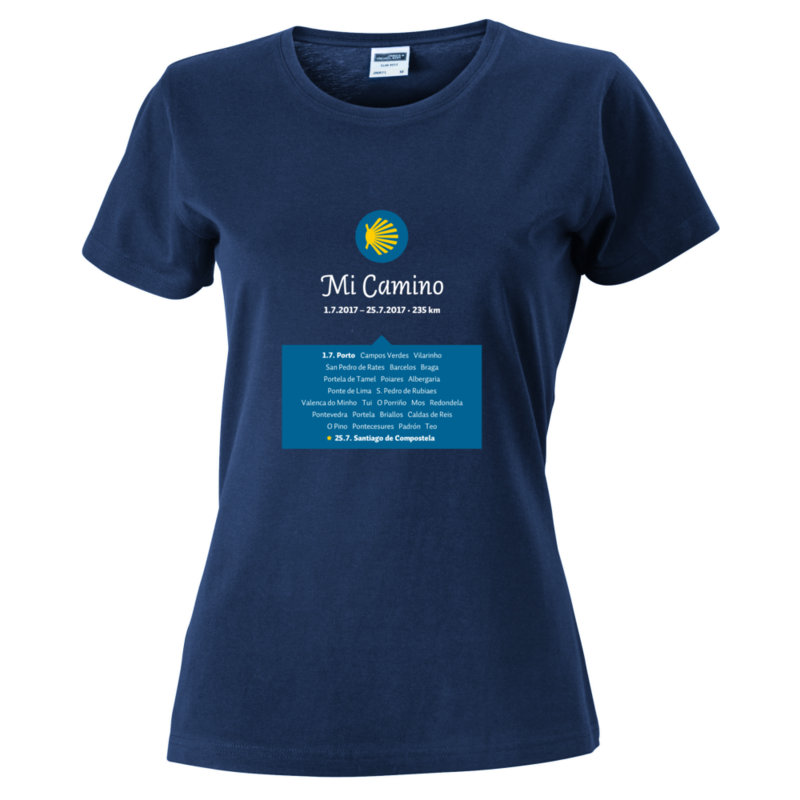 Mi Camino is your very personal memory of your pilgrimage to Santiago de Compostela (or other destinations) with your own route printed on a t-shirt. A unique souvenir made to measure!